Many travelers could not get home. 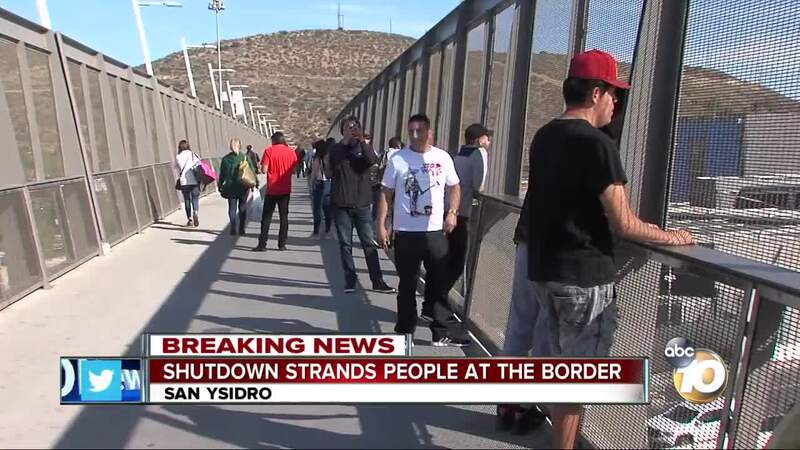 SAN YSIDRO, Calif. (KGTV)— The border shutdown at the San Ysidro Port of Entry Sunday created a ripple effect for transportation and nearby businesses. Many people were stranded at the port crossing for five hours before Homeland Security reopened the lanes in the evening. Christmas shopping at the Las Americas Outlet Mall came to an abrupt stop for Maria Martinez. "The mall was closed. They're very dangerous for us and the store,” Martinez said. The Mexico City resident is on vacation to San Diego. She was shopping when she was told to leave the mall suddenly. Minutes prior, she claimed she saw a swath of caravan migrants rush the back of the mall, which the CBP denies. 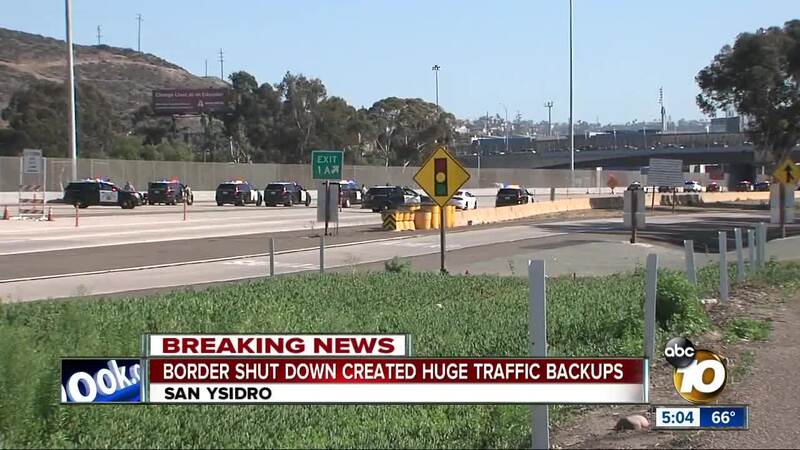 Customs and Border Protection closed off the San Ysidro Port of Entry late Sunday morning. Then the California Highway Patrol blocked off both the 805 and 5 Freeways south of the 905 interchanges. American federal agents in full tactical gear lined up along the border, at times using tear gas and rubber bullets to deter migrants. "Over there, there was smoke and the noise of the gun,” Martinez said. At this point, there are no reports of any of the migrants successfully crossing the border. Martinez said she saw federal agents turn them around. The bus depot next to the mall was also closed, leaving shoppers like Martinez stuck and not knowing when they could get home. "I don't know. I think it's going to close the border. When everything is in peace, they are going to open. What time? I don't know,” Martinez said. By 5:15 pm, all operations at the San Ysidro Port of Entry resumed.